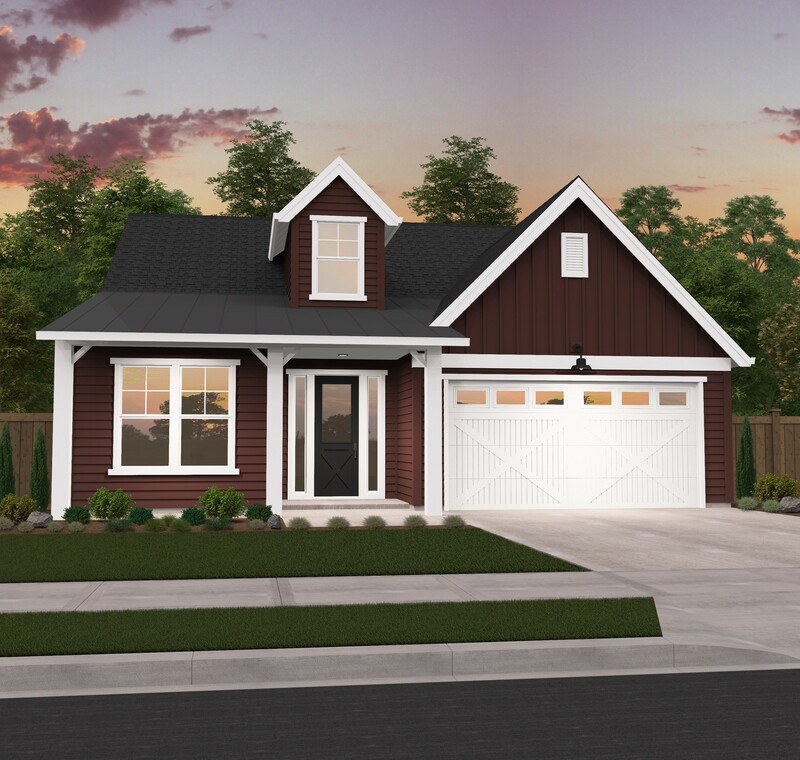 Mark Stewart Home Design is on the leading edge of the recent surge in farmhouse style homes, and this Modern Farmhouse Plan is part of a brand new collection of these designs. A farmhouse plan is marked by rustic materials, comfortable and functional floor plans, and traditional exteriors and roof lines. 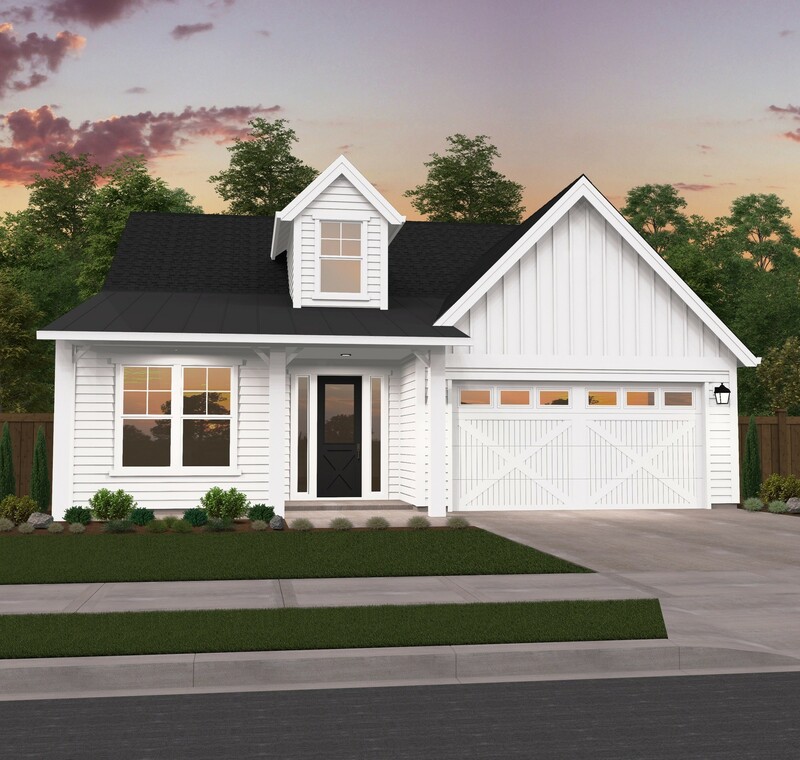 This modern farmhouse has the master suite at the rear, with two additional bedrooms at the front of the home just off the foyer. The additional window above the foyer brings in a great deal of light all the way to the great room. The great room features an 11′ ceiling and fireplace, allowing for a comfortable, family-oriented gathering space. The kitchen overlooks the covered patio at the rear of the home, with a large corner pantry close by. The master suite has a large walk-in closet, two sinks, and a large window to the back of the home. 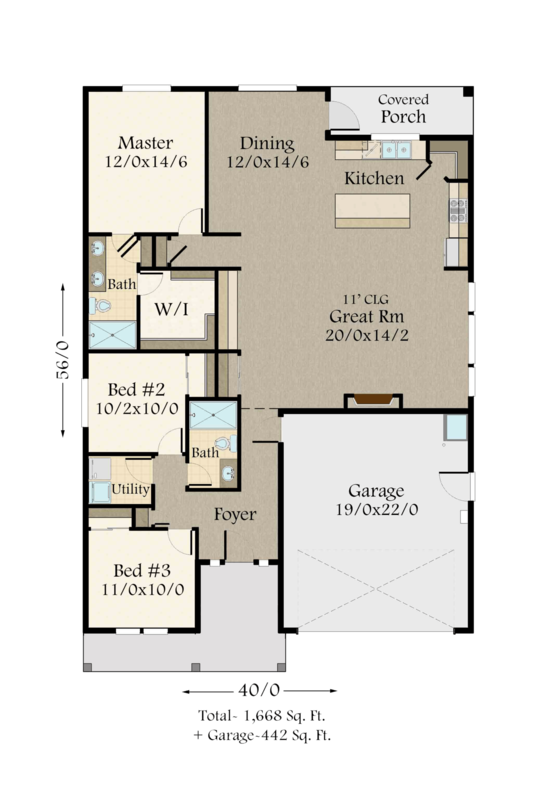 This house plan is not available in Salem, Oregon.